“I hate the Botangical Whatever,” Piper said. “But you don’t even know what they are. There are walking paths and flowers. There’s a jungle room. 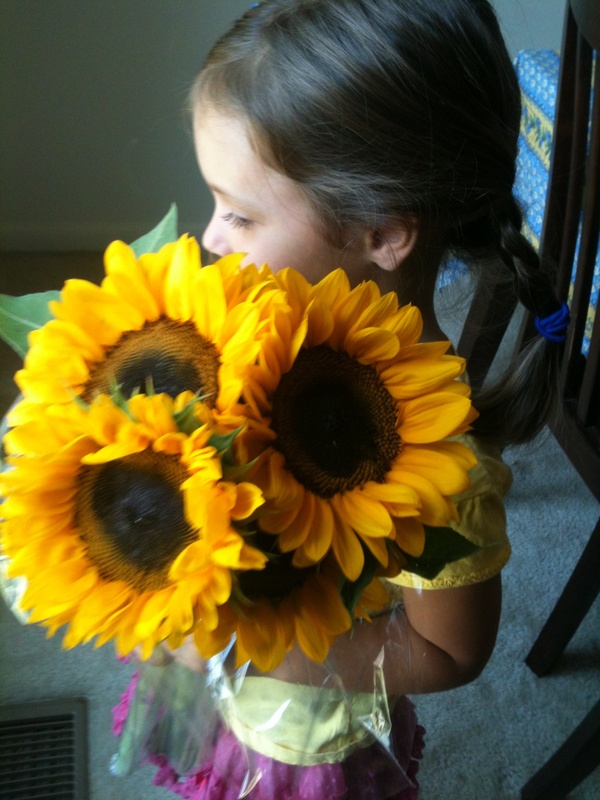 And you can plants flowers in the Children’s Garden.” Sissy had sold me. I started packing snacks. For once, Piper was right. She didn’t have any fun at all. 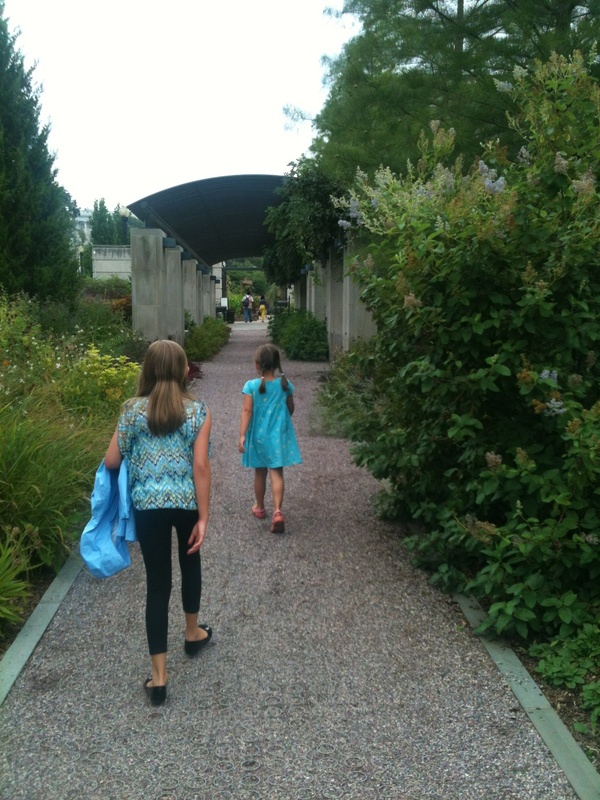 It’s wasn’t fun when she walked the beautiful garden paths with her sister. 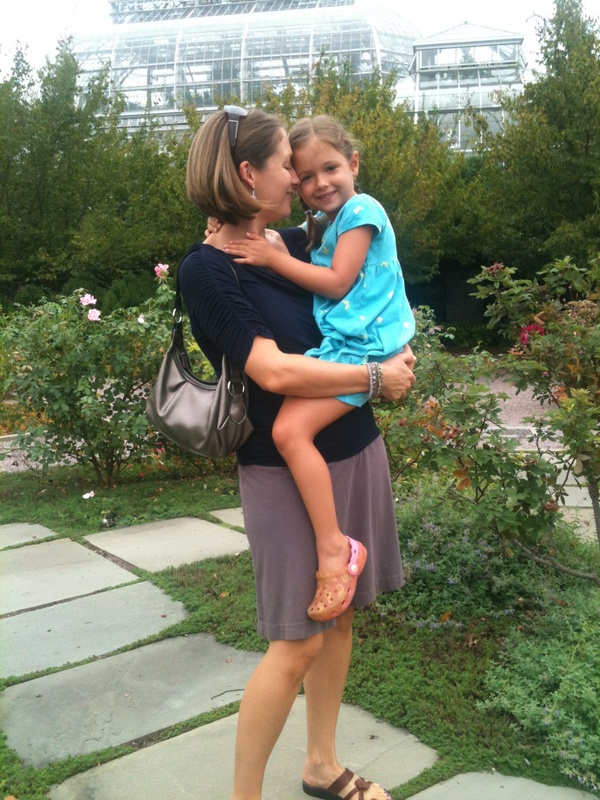 It wasn’t fun when her Mommy held her because a Piper couldn’t walk another step. See how miserable she looks? 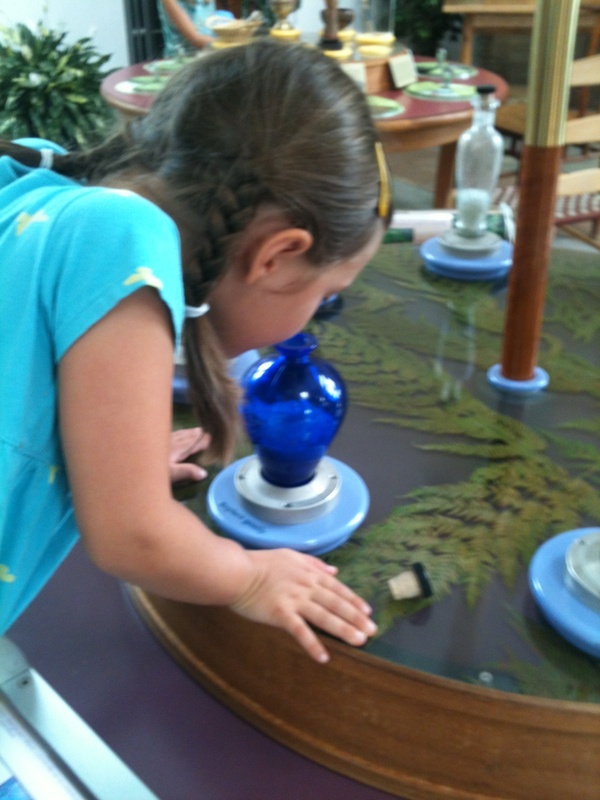 The smelling room was a total snoozer. That’s why we spent an hour taking the tops off of every bottle so that we could smell the herbs, plants, and spices from around the world. 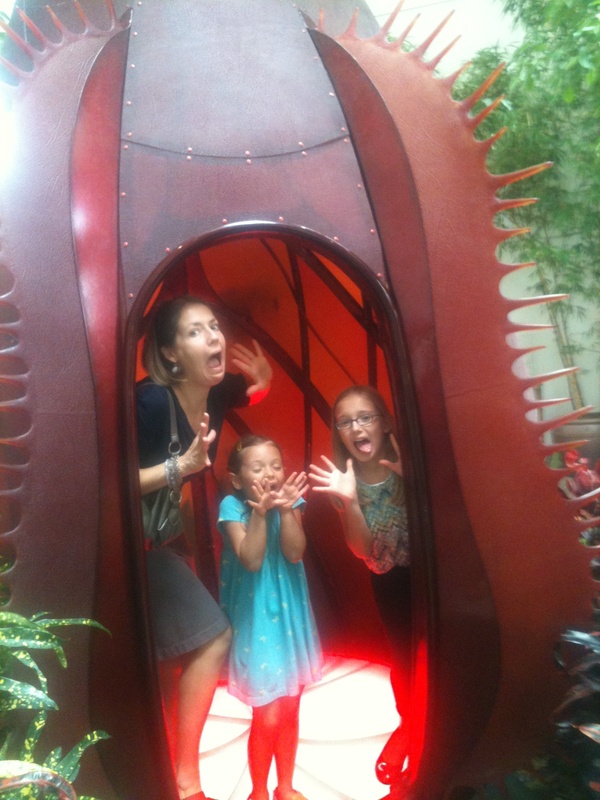 It definitely wasn’t fun when we climbed inside the Venus Fly Trap and pretended we were being eaten alive. 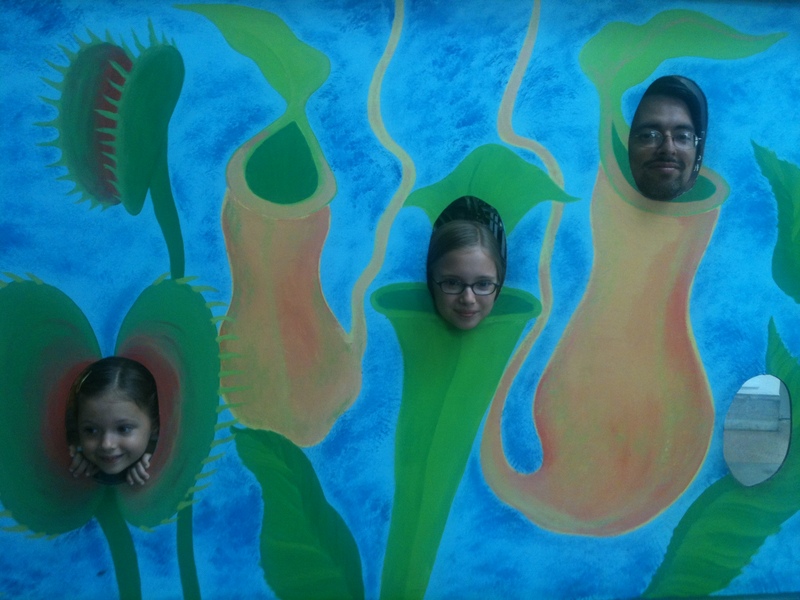 And since that was so boring, we turned ourselves into a family of Venus Fly Traps. 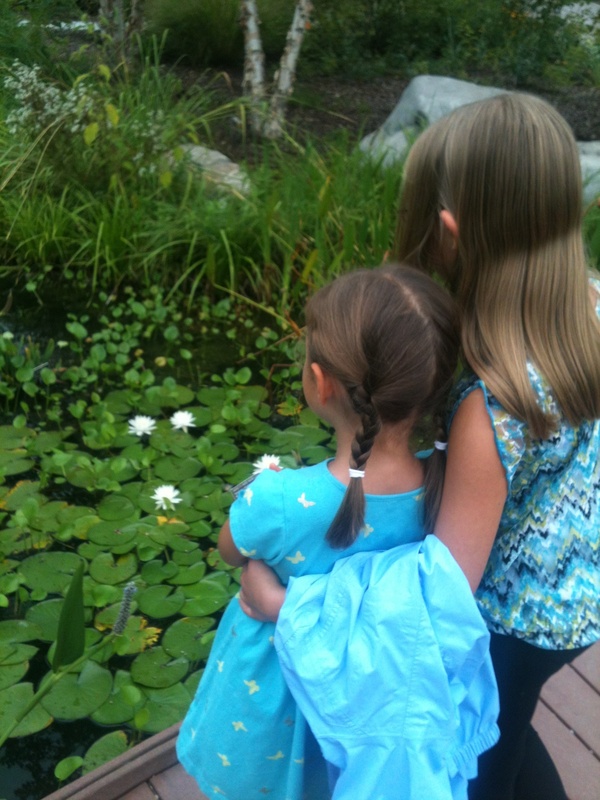 The final miserable chore was to plant flowers in the Children’s Garden. Here’s the little contrarian hating every minute of it. “I hope next Sunday Funday has some fun in it,” the contrarian said on the drive home. Me, too. As you can see, we didn’t have any fun at all.